This was a couple months ago, and B. had cooked an osso bucco for which I thought a Pineau d'Aunis might be a great pairing [that's a shameless lie, I'd open Pineau d'Aunis on virtually anything] and this Brise d'Aunis 2013 by La Grange aux Belles made the job. No need to tell this was a very enjoyable drink, the color here doesn't lie. And this is a humble table wine (vin de France), I wish there could be more of them. Osso bucco looks a bit like ox tail at first sight but it's from veal and a piece of leg bone with the meat around. Delicious too. We got the chance to see Alex Foillard in the Beaujolais and taste his wine with his father Jean. Alex has now 1 hectare in Côte de Brouilly since last year and also 0,5 hectare in Brouilly. The vineyard hasn't got herbicides in 2016 because the former owners knew they were about to sell it, good point. The resulting wines are not just promising like it's common to say for young vignerons, it's plain good. His Côte de Brouilly 2016 were bottled a week before this tasting took place and the Brouilly should be bottled soon with the appropriate moon. These are his wines and work and he will sell the wine under his name. Jean is building a new facility right next to this one so that the two are separate. __ Côte de Brouilly 2016, vinified in cement vats, élevage in 4 barrels plus a cement vat, the whole being blended afterthen. The vines are aged part 25, part 50 years, located on the lower slope of a hill, with schists. Was conventionally farmed, he's farming it organic now. Tastes very good and fresh, goes down easily the recent bottling didn't harm it, but Alex says that the bottling shock should come in a few days, we're lucky it hasn't closed yet. He plans to sell this wine in a month. Should sell well, and not just because of his family name. There will be about 6000 bottles of this including 500 magnums. __ Brouilly 2016, cement vats and 1/3 barrels. Vines are about 60 or 65. Sample from the barrel, not bottled yet. Like for the other cuvée he leaves the grapes one night in a cold room after picking, then goes through 20-day carbonic maceration, a few pumping-overs to keep the cap humid and homogenize the fermentation stage of the grapes from bottom to top. Delicious too. Should be 9000 bottles of this including 1000 magnums. His wine will be available at the Cellier de Fleurie in case your local wineshop hasn't any allotment. I'm not fully sure but I think that what we spotted along a small road in Champagne (Aube) near Essoyes (on D70 south of Essoyes) is plain terroir building from scratch. We stayed for one night recently at L'Ami Chenin in Saumur, it's a bed & breakfast where every wine lover (and I'd add especially people who love real, natural wine) should stay when travelling through the region. Xavier Amat and his wife France manage the place which has only 2 or 3 available rooms for guests, but it's a unique location, it's a troglodytic house, part built, part in the hill (but not humid at all) and it was long time ago a winery facility. Xavier who was a photographer in his former life can show you where the press and vats were located in the depth of the hill. The rooms are elegant and comfortable with view on the Loire in the far, and the garden is gorgeous. You're strongly advised to ask for dinner there too (tell it when you resrve because they do Table d'Hôte in this large room in front of the fireplace, and expect a great wine list on demand. Xavier also runs a wine shop in this place (all artisan, natural wines), and you can buy him wine. You'd be surprised of all the wines from all over France he stocks, and there are even cavistes or restaurants who come here to buy an assortment of wines directly from him rather than from the vignerons. He oftens do the shipping himself, bringing back the cases of wines when he travels occasionally to the region, thus limiting the costs and allowing him to be competitive. He'll show you the cellar, it's literally a former barrel cellar dug in the depth of the hill, with stable temperature year around. The Domaine de Terrebrune is a reference in Bandol, but although you may know it, having their wines again is a good reminder of this certitude. Reynald Delille was pouring the wine in person in a Paris tasting earlier this year, and I was impressed by the refineness, silky tannins and intensity of the wine, 2012 to 2017, that is the beginning of the tasting lifespan of this wine and that was so beautiful. When I first saw Paul Breton (see picture here) in Bourgueil he was a teenager eagerly helping his father in the cellar; now he's 24 and he begins to make his own wine allthewhile working for his family domaine. __ Here is his cuvée, Pierres Rousses 2015, bottled december 2016. Hard to believe when you taste this chenin but it has some residual sugar. The minerality is such (tastes like stone) that it dwarfs much of the sweetness, just remains a sugary coating. They made a sterile filtration so as to add little so2. The soil is silex or flint stone with clay and the vines are 55. Public price in France is 14 €. __ Aussi Sec, Vin de Pays du Val de Loire, Sauvignon 2016, from a rented vineyard planted with young vines, will be an entry wine in terms of price. They should have a long term agreement for the rent and the cuvée should remain in the next years. Nose is not typical for a Sauvignon (no cat pee), the wine went through malolactic, that's why, and also because no commercial yeast are used here, just the wild yeast. I like that, pretty enjoyable to drink. 13 € retail in Paris. Gave a brief visit to La Cadette in Vezelay, they had several new cuvées made from purchased grapes, that was very enjoyable entry-level wines made in a truthful way. This is the first vintage for the négoce wines of Valentin Montanet, with the aim to do wines that are simple and easy to drink. __ Macon Villages, Purchased grapes (Chardonnay) from the Macon region. Valentin says that this négoce thing is the opportunity for him to express his love for the wines of the Maconnais and the Beaujolais, and in 2016 with all the trouble they had and the missing volume of fruit, this was a bright spot to develop this range of wines. These wines are here to stay, he'll keep making them in the long term. The wine is fresh and tasty, the type of wine you haven't trouble to refill. __ Macon Chardonnay, made from purchased grapes from the village of Chardonnay in the Macon region in southern Burgundy. Of course this is chardonnay, and from the namesake village, quite unusual coincidence. Also 1st vintage for this wine. The labels of his négoce will keep the style of drawings (beautiful, by the way) you see here, in order not to make confusion with the estate wines of the domaine. The parcel here has two types of chardonnay, the generic one and another that has similarities to Muscat, with riper aromas. The grower told Valentin that in the past it was common to put 3 % to 5 % of this Chardonnay muscaté in the parcels. __ Melon de Bourgogne, vin de France 2015, went through malolactic, stainless-steel only. Nice enjoyable drink, love that, makes between 11,5 % and 12,5 %. __ Bourgogne Récolte [harvest] 2015, grapes purchased near Auxerre. Pinot Noir of course. They did this cuvée in 2012 first, then 2015 (the 2016 is in barrels right now). Very nice color, very luminous. Nice northern Burgundy Pinot, very fresh, aromas of fruit and grenadine. Small volume, 25 hectoliters. Pic on left : Jean & Valentin Montanet - pic on right : Valentin with cellar master Nicolas Luquet, who was working with Philippe Pacalet when I first visited him in 2005. I went the past month to a tasting of Côtes de Gascogne white wines (South West wine region), a selection of 30 bottles that can be found in wine shops and supermarkets. I think whites are a good alternative to rosé in summer and I found that several of these wines (that are certainly conventionally produced) were a pretty good value, most beings at about 5 € or even less tax included on the shelves. This French wine region which is not very well known has a total vineyard surface of 20 000 hectares, mostly planted with whites (16 000); it has interesting white varieties like the Colombard, Petit or Gros Manseng, Baco and Folle Blanche, in addition to Sauvignon and Ugni Blanc. See on this document the map & main stats on the wines of this region. Here are a few of the bottles that caught my attention. The tasting took place at the restaurant Elmer in the 3rd arrondissement (near République) with chef Simon Horwitz having prepared toasts to pair with the general character of these wines. __ Chateau de Millet, Colombard-Ugni Blanc 2016. Blend of 60 % Colombard & 40 % Ugni Blanc. Residual sugar 4 grams. Found in cavistes in France at 4,8 € tax included. Well-rounded aromas of Sauvignon, the mouth is enjoyingly ample with some length. A little too predictable but not bad, makes only 11,5 % in alcohol, good value at this price. __ Domaine Haut Marin Littorine 2016, by Elisabeth Prataviera. Colombard & Ugni Blanc, 7 grams residual sugar, public price in cavistes in France 4,5 €. Very interesting mouth with bitter notes, berlingot candy, alcohol : 11 %. Nice, if certainly soaked with SO2 (we'd like to have the precise data on this issue for each wine). Good deal at 4,5 €. __ Domaine Laffite, Sauvignon - Gros Manseng 2016. 6 % Sauvignon, 40 % Gros Manseng, residual sugar 2 grams. Costs 5,5 € in wine shops in France. Discreet nose; the label is the classic commercial stuff with animals cycling on a tandem. 12,5 % alc. In the mouth, nice juicy feel with something like a light tickling at the end of the tongue. Good value for 5,5 €. __ Domaine Chiroulet, Gascogne 2015 La Côte d'Heux, Famille Fezas. 100 % Petit Manseng, 4,5 grams residual sugar. costs 9,1 € in cavistes in France. Nice classical label for a change. Nose : floral and complex. In the mouth, richness, a bit syrupy but in its own style, it's fine, I like it. Not cheap though compared to the other bottles that day. __ Domaine de Joy, Famille Gessler, Côtes de Gascogne L'Eclat 2016; Colombard, Gros Manseng, Ugni Blanc & Sauvignon. Residual sugar 3 grams. Costs 5,2 € in cavistes. Ugly label for sure. Interesting nose, deepness. Mouth is fresh and aromatic with a nice energy feel. Good value. I could see at last recently one of this typical vintage Beaujolais multi-function tractors that can do winch plowing while parked alongside steep slopes. This was right under La Madone, I didn't ask which domaine they worked for, too happy already that I could film. Great job, and you can see how difficult it is... The vehicules (named Béné) which are a mix of flatbed trucks and tractors can be found everywhere in the Beaujolais (Julie Balagny herself had one a few years ago), although many are out of use. The company that would build them again would make a killing among artisan growers for sure. Mrs Tchinar Arakelian : welcome to Armenia ! This is about a little corner of Armenia in Paris : the restaurant of the Armenian Cultural Center (Maison de la Culture Arménienne), a cafeteria-like restaurant where you can get the homy feel of an Armenian eatery. The legend says that Aznavour has been a regular, and I think it's plausible. Expect good portions of traditional Armenian dishes served by the friendly owner of the place Mrs Tchinar Arakelian, her husband Mamikon being the cook; by the way, the real name of the restaurant is Chez Mamikon et Tchinar... There are Armenian wines to go with as well as Armenian beer, and it is suprisingly affordable for Paris. Read this restaurant profile by Kate Robinson with more pictures. Address : 17 rue Bleue 75009, take the stairs to the 2nd floor (there's no sign outside, don't be surprised). __ Là-bas 2015, L'Etoile [AOC] Nicolas Jacob (Jura wine). I had this wine a few weeks ago through Aaron and Josh in Paris, this is from what I remember the 1st cuvée of a guy working for Jean-François Ganevat, he has 1 hectare of vineyard of his own (organic farming, weeds being just mowed between the rows), planted with Chardonnay and Pinot Noir, and the Pinot Noir should come out soon. Here this is a topped-up chardonnay, fermented on wild yeast with a 12-month élevage in casks on lees. The wine should be available in the United States through Paris Wine Company. __ Domaine Gouillon Micou (Lapin, the rabbit) N°3, Beaujolais Villages 2014. Made by a family domaine in Quincié, their website and labels look pretty conventional, I don't know about the rest of their wines but this one is pretty exciting and has a truth feel. This is a chewy and fruity wine, goes down pretty well, the bottle cost 10 € at the domaine, good value. Here is their price list at the domaine (tax included). We had a few weeks ago this Chateau Meylet 1995, now a pretty old vintage Bordeaux (almost 22 years) from a domaine which was a pioneer in the low-so2 natural vinification in the region. This wine was a living proof that unfiltered wines made with almost no so2 adding can stand the time pretty well, the wine was en enjoyable treat from opening to the last drop. Kudos to David Bourdaire for this Champagne Bordaire Gallois made with Pinot Meunier and no dosage. The vineyard is on conversion to organic and the 3 cuvée I tasted from them were excellent, just don't be put off by the labels. Table Ronde - Independance ! The recent political developments in Europe may offer incidently a rare opportunity for farmers to see an alleviation of the burden of regulations and laws that ruin their daily life : I'm speaking of Brexit and its incidence on the current EU regulations. For many of the domaines I visit, as well as for the French farmers and cheese/milk farms, they are a real burdensome weight, and the Brexit vote in the UK can be also partly motivated by the revolt of UK farmers and other independent professionals about the issue. If the farmers in the UK can free themselves of this weight it may be good in the long term for the continent's farmer because the EU will be more-or-less forced to bridge the competitiveness gap. With a bit more of common sense and listening to the individual farmer (and citizen on other hot issues) the EU could certainly have avoided this setback. France has lost many artisan cheese facilities for example because of that and EU norms and subsidies are known to have boosted industrial farms instead of the smaller ones which are the most involved in quality products and in the repopulation of the back country. I ended up opening this bottle of Enigma 2006 made by Yair Margalit in Caesarea, Israel. I kept the bottle in the wine fridge in Paris for many years, waiting for additional bottle ageing. Very enjoyable blend of Cabernet Sauvignon, Merlot and Cabernet Franc from parcels in Kadita and Binyamina. Had still every thing 10 years after, intense flavors, acidity and complexity, a treat to the last drop. I spotted these cabins in the trees along a side road in winter near the village of Villentrois, south of the Cher river. These cabins are recreational rentals (l'Augis Nature), priced 125 € per night (cheaper for cabins on the ground level). I like camping and I think tree houses are the closest thing to camping and unfettered connection with nature, and being mid-height around a large tree certainly connects you to its vital energy flow. But I'd rather build my own tree cabin rather than rent one that is certainly EU-norms compliant. For this, try DIY and find inspiration on this blog. I was invited a few weeks ago in Paris to the tasting of the Bordeaux Primeurs 2016 of Oenoteam, a company consisting of 3 associates which is based in Libourne and does œnology consulting for wineries of the Bordeaux region. 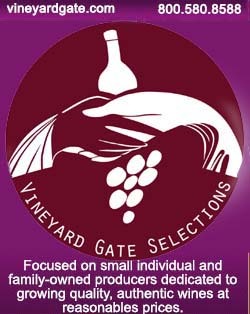 The goal of the company is clearly stated on their website, with "a modern vision on wine" and the stated goal to adapt to the product and the targeted markets. The tasting took place at the restaurant la Dame de Pic with some 35 wines to taste (excellent lunch but Anne Sophie was not there that day). There were 3 people of Oenoteam including cofounder Stéphane Toutoundji to explain the philosophy of the company, which is to adapt to the wineries and not impose a single wine style. The company is also doing consultant work in China by the way. __ Chateau Grand Français Bordeaux Supérieur grande cuvée.85 % Merlot, 15 % Cabernet Franc, organic farming. Cynthia Guillemot. Nice balanced mouth, with softness and subtleness. Onctuous and fresh. Light astringency, with just the adequate sweet touch. Good impressin overall. Certainly very affordable. __ Domaine de Moulin-Pouzy Optimum, Bergerac, 100 % Merlot. The wine has a milky feel in the mouth which is quite pleasant, with a nice sweetness and thin tannin texture. Very beautiful and fresh. 17 € tax included. __ Chateau Grand Launay, Le Fruité, Côtes de Bourg; 100 % Merlot, organic farming. Pierre-Henri Cosyns. The only non-traditional label here, if I remember. The label says "Grand Vin Bio de Bordeaux". Exciting nose. Nice energy in the mouth, with also a milky feel in the mouth touch. Seems unfiltered, full mouth with some sweetness and intensity. I came back later to the bottle and I keep my word, this is an interesting wine. 15 € tax included. __ Chateau Bourgneuf, Pomerol 2016; 85 % Merlot, 15 % Cabernet Sauvignon. Frédérique Vayron. The nose is not very talkative.Mouth is more talkative, nice power feel. My stomach noisingly approves the wine. Harmonious indeed, nice substance, a pleasure to drink in spite of the power level (the alcohol was not indicated on the sample). 2nd nose was very exciting, the wine talks at last with generous summer flowers. Priced 30 to 35 € tax included. __ Chateau Haut-Sarpe, Saint-Emilion Grand Cru Classé 2016; 70 % Merlot, 30 % Cabernet Franc. Jean-François Janouex. Classy bottle with an indent deeper than usual in its base. Discreet nose again. Nice palate touch, all refineness, and freshness too. Everything you like in a wine, pretty rewarding, a pleasure to drink, just the astrigency going with what is indeed a very young wine. 33,7 € tax included. Here is a lovely, easy-drinking wine by Laurence & Rémi Dufaitre, a Beaujolais Village 2016, there's fruit, a delightful chew with this unfiltered wine, and this feel of truth and lightness that makes you ask for another pour. Costs about 15 €. I opened a while ago in the Loire one of my last bottles of Robert Sérol Les Originelles Côte Roannaise 2006 (I had a case of it), a gamay made by what I understand was the first domaine in Côte Roannaise (a small wne region West of Lyon) to begin to work more naturally. The wine seems unfiltered and it has an almost milky feel, on the pleasant way. The wine stands the years pretty well, always a pleasure to drink with the chew and fruit. Here is the info webpage for this cuvée (may be slightly different with what he did in 2006), I need to try his more recent vintages but I loved this one. Yair Margalit, whom you briefly mention here (but in greater detail an another article) is one of my wine hero; his scientific work will be a benefit to winemakers for decades to come. Etiquettage is important, and I love many of the unconventional labels you often show. 'Aussi sec' for example.